Goodreads: Meet Abbey Lahey . . .
Kritters Thoughts: Is the grass greener on the other side? When you get what you have been dreaming of is it how you thought it would be? There are many stories that tackle these questions and I will never stop enjoying them. Abbey Lahey is full time mom, full time wife and full time employee and she is barely keeping it together. 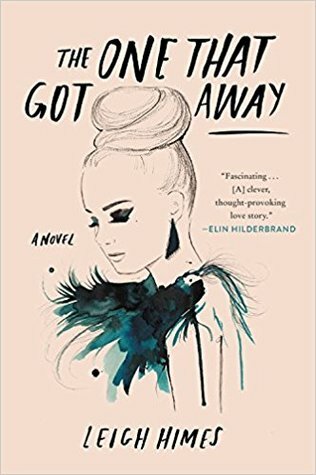 She goes to Nordstrom to return a guilty purchase and after a fall she ends up in a life that she could have only imagined, but she may realize that is is so different than she ever thought it was. I loved this book. I love a story where if you make one different decision it can send your life down a different path and there are positives and negatives to this new path. What made this book a little different from the rest is that the character knew of their other life and spent the book comparing the pros and cons of both lives - I like that she was aware that she had another life and could appreciate the difference between them. I won't spoil a thing but I will say I definitely enjoyed the ending for this book. I was a little worried about how the author was going to wrap it up and I think she did it just right. This book has heart, but is still light enough to be a perfect addition to your beach or pool bag. I loved reading it on the side of my pool over a weekend. A light read with heart sounds like a perfect book for the summertime!